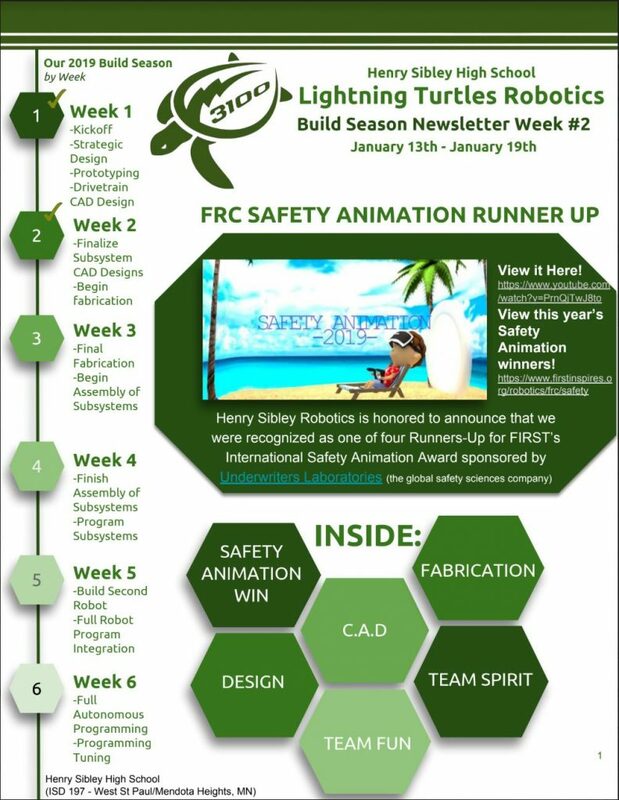 Big News – we were a runner up in the FRC Safety Animation competition! With just over 4 weeks to go we are feeling good & we plan for that goodness to continue. Dive in to the Week 2 Newsletter – it was finals week, but we are still a bit ahead of schedule!